Vicky is one of the newest members to the REIWA Training team. Her success in the industry has been acknowledged with 5 Property Manager of the Year awards and the Kevin Sullivan Award for Excellence 2011. 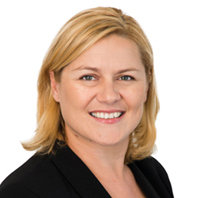 As a Licensed Real Estate Agent and member of the REIWA Property Management Network (a body of Perth's best Property Managers that help create Best Practice procedures for REIWA members) Vicki is kept up-to-date with the latest industry information, trends and intelligence. Vicky's philosophy is 'Having the right people with the right approach can save you a lot of stress, hassle and money'. This philosophy drives her to help students develop the skillset to do things the smart way (not the hard way).